Clinical Neuropsychology is a branch of clinical psychology specialising in brain-behaviour relationships, neuropsychological dysfunction and acquired brain injury rehabilitation. In addition to Clinical Neuropsychology, Hobbs Rehabilitation offer a Counselling Psychology service for those with emotional difficulties relating to health conditions, along with Couple Psychoanalytic Psychotherapy for couples who have experienced an acquired neurological condition, this involves sessions where couples attend and meet a neuropsychologist together. Dr Ben Papps is a Chartered Clinical Psychologist and a Full Practitioner Member of the British Psychological Society's Division of Neuropsychology. He is registered with the Health and Care Professions Council (HCPC). He completed a research PhD in Neuropsychology in 2000 working at the then MRC Brain Metabolism Unit in Edinburgh and at St Andrews before his doctorate training in Clinical Psychology at the Institute of Psychiatry in London. He has 15 years’ post-qualification experience of working as a specialist clinical neuropsychologist in the field of Acquired Brain Injury and has worked with a wide range of conditions (including mild to profound brain injury, Motor Neuron Disease, Stroke, Multiple Sclerosis and Parkinson's Disease). He leads the Psychology services at Hobbs Rehabilitation. He is a Consultant Clinical Neuropsychologist in the NHS and is the Head of Clinical Health Psychology at Hampshire Hospitals NHS Foundation Trust. 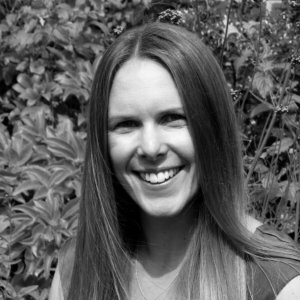 Dr Philippa Beckwith is a Registered Clinical Psychologist with the Health and Care Professions Council (HCPC) and Chartered Psychologist with the British Psychological Society (BPS). Dr Beckwith has worked in the NHS and private health settings since 2009 and has experience of working in specialist neurological rehabilitation with both inpatients and outpatients with a range of conditions including Traumatic Brain Injury, Stroke, Multiple Sclerosis, Motor Neuron Disease, Parkinson’s Disease, Encephalitis, Epilepsy and tumour. Dr Beckwith works therapeutically using a range of models including Cognitive Behavioural Therapy (CBT), Acceptance and Commitment Therapy (ACT) and systemic approaches. Her clinical and research interests include acceptance, adjustment, resilience and personal growth in the context of neurological conditions. She works full-time at Hobbs Rehabilitation based at Winchester and Abbotswood Court and also teaches on the Doctoral Programme for Clinical Psychology, University of Southampton. Dr Leon Dysch is a Chartered Clinical Psychologist and a Full Practitioner Member of the British Psychological Society's Division of Neuropsychology. He has 18 years of clinical experience, providing psychological support for people affected by long-term neurological conditions such as Acquired and Traumatic Brain Injury, Multiple Sclerosis, Parkinson's disease and Stroke. He has spent the last 11 years working as a Clinical Neuropsychologist in the Community Neuro and Stroke Service in Bath as well as holding an Honorary Senior Lecturer position at the University of Bath. Outside of the NHS he works for Hobbs Rehabilitation South West. Amber is a Clinical Psychologist registered as a Chartered Member of the BPS and with the HCPC as a Practitioner Psychologist. Amber was originally trained in Psychodynamic and CBT therapies in the United States with a vast array of clientele, including those with severe mental illness or acute and chronic physical health conditions. Her work in the American prison system and various inpatient hospital settings led to her specialist interest in rehabilitation, neuropsychology and pain management. Amber recently completed a post-graduate diploma in Clinical Neuropsychology and now has over eight years’ of service to the UK’s private healthcare sector. She has experience completing formal and informal cognitive assessment, as well as on-going treatment, for clients with a range of neurological conditions and behavioural challenges, including Stroke, Traumatic Brain Injury, Encephalitis, Parkinson’s Disease, Multiple Sclerosis, Functional Neurological Disorder, and tumour. Amber currently splits her time between Hobbs’ Neuropsychological Service (where she works on an occasional basis) as a Consultant Clinical Psychologist in an inpatient rehabilitation unit, as well as in private practice as part of Clinical Psychology and Pain Management Clinics. 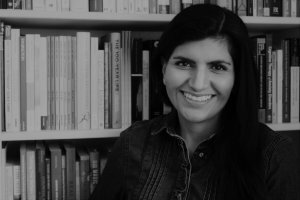 Dr Sabah Khan is a registered Clinical Psychologist with the Health and Care Professions Council (HCPC) and an Associate Fellow and Chartered member with the British Psychological Society. She is also a qualified Couple Psychoanalytic Psychotherapist and an Individual Psychodynamic Psychotherapist. She has some 15 years experience of working in the NHS, predominantly in neuropsychology and neurorehabilitation settings, including acute and post-acute services, at Queen Square. She combines her experience in both neuropsychology and couple psychotherapy to understand the impact of neurological conditions on couple relationships. Her core approach is psychoanalytic psychotherapy, which involves working with the root problem of underlying issues, and is also trained in cognitive behavioural therapy (CBT) and systemic family therapy, which, depending on the presenting issues, can be helpful to alleviate overlying symptoms and help cope with change. Please email the team at psychology@hobbsrehabilitation.co.uk for details and enquiries regarding clinical neuropsychology services. Currently Hobbs is unable to offer a child/paediatric clinical neuropsychology service.